Even in winter Sicily has many bright and sunny days. The average temperature stays around + 15-16 Celsius, however, sometimes can be a little colder, and sometimes the temperature may rise to + 20-22. Hills and mountains are covered with lush vegetation. 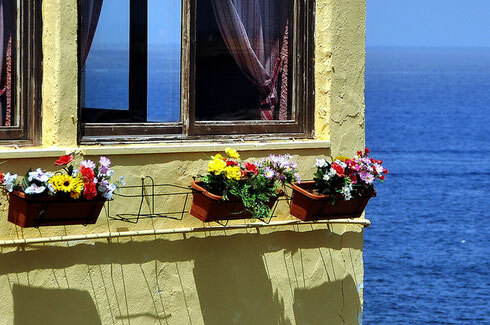 This time is ideal for hiking and sightseeing, as well as to quietly live in a house by the sea. During this period of year you will not be disturbed by neither crowds, no noisy discos. Also, this time is perfect for skiing at the foot of the volcano. Mount Etna ski season operates from December to early March. 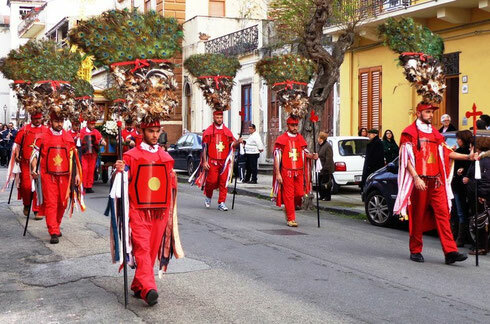 In addition, on January 6, the Sicilians celebrate Epiphany, there are beautiful festive processions on the streets. It's still cool in Sicily in February. The average daily temperature is + 15-17 Celsius, and at night it can drop to +8. Sometimes it rains, windy and stormy. However, in February, you can already feel the the approach of spring. It is a very beautiful month. The whole island is covered with blossoming almond trees. 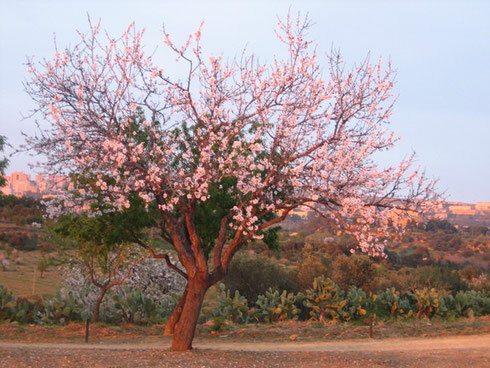 Guests from all over the world come to the almond blossom festival in Agrigento. Perhaps, this is the best time to visit the Valley of the Temples. March - the most unpredictable month in Sicily. Sicilians call it marzo pazzerello - crazy March. The weather is very changeable - a beautiful warm sunny day can suddenly give way to rain and strong wind, and a cold gloomy morning can change to a sunny cloudless noon. The air warms up to + 17-20 Celsius. In March, Sicilians have one of the most fun Catholic holidays San Giuseppe (St. Joseph's Day. ), with beautiful solemn processions, as well as the Catholic Easter. Guests from around the world come to see majestic performances taking place in Sicilian towns during the Holy Week. In April, Sicily has noticeably less rain than last winter months. The air warms up to +20-22 Celsius. Valleys and mountains are covered with wild flowers that are too beautiful for words. Although it is too early to swim (the sea temperature in April - about +18 degrees), but sunbathing on the beach is already quite possible. Sicilian nature at this time is amazingly beautiful and varied - blossoming orange trees, peaches, pears, poppies, peonies, daisies, roses and many other gorgeous Sicilian plants. In May, the rain period is over. The daytime temperature is around +25 Celsius. The weather is perfect for outdoor activities and sightseeing, but be careful - the sun becomes hot. The temperature of the sea rises to +20 degrees by the middle-end of the month, so it is quite possible to have a swim. 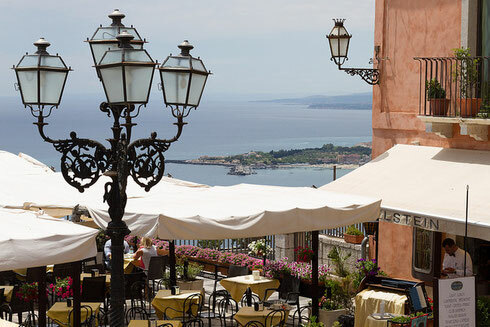 Sicily is painted with bright colors, the air smells of oranges and wild flowers. The air temperature rises up to + 28-30 degrees, the sea temperature - up to comfortable +22 Celsius. 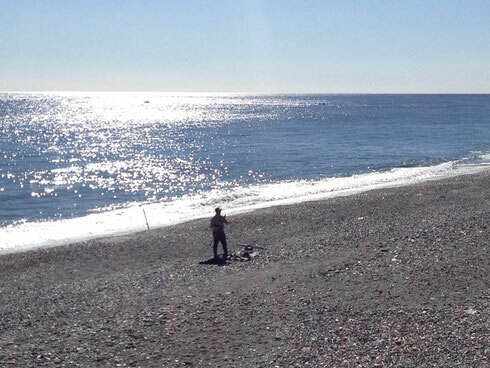 However, there are not too many people on the beaches, as the Italians prefer to open swimming season closer to July. Great weather for walks, but days become hot. 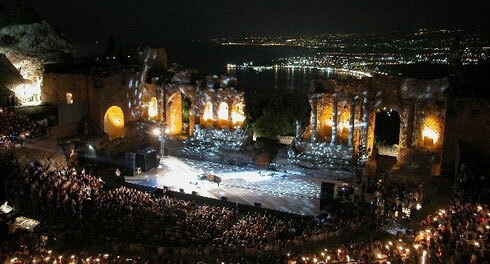 The famous Taormina Film Festival opens, which attracts many celebrity guests. Active tourist season begins. Life on the island is in full swing. July - the beginning of the high beach season. The air warms up to + 30-33 degrees, water - up to 24 Celsius. The beaches become crowded, numerous resort towns come to life. Many bars, restaurants and shops open near the beaches. More and more tourists come to sightseeing attractions, so these places become very crowded. At this period, the best time to visit the sights - either early morning or late afternoon. 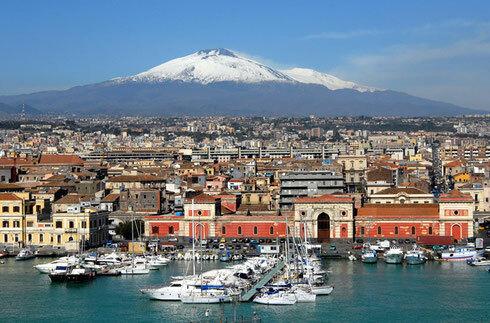 In the afternoon it's preferable to rest in the shade, or go to the mountains, for example to Mount Etna. Nightlife boils in the cities and towns of Sicily. August is the hottest month and the peak season. The temperature rises up to 35 degrees, sometimes reaching +40 Celsius. The water is heated to +26. The beaches are very crowded, because at this time the Italians have holiday and all go to rest at the seaside. You can escape the heat in the mountains, as August is good for hiking in the numerous mountain nature reserves in Sicily. On the night of August 15, the Italians celebrate the beautiful feast of Ferragosto, the Ascension of the Virgin. 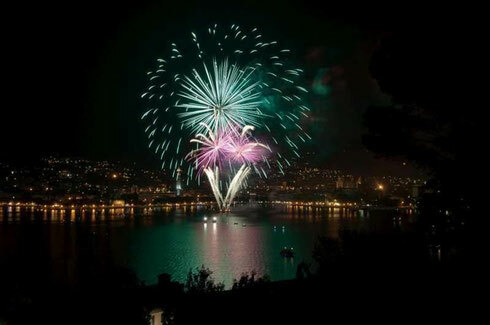 Guests and locals spend this night on the beaches, make bonfires, fireworks and swim. 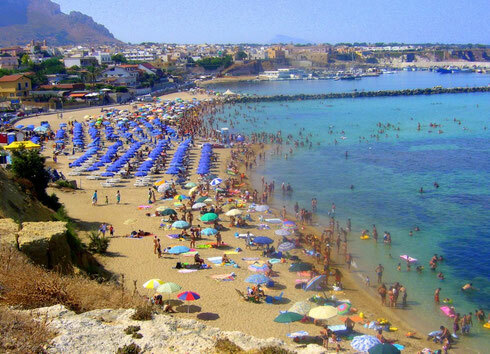 In September, the majority of Italians return home from seaside resorts, and the beaches become quieter. Sicilian cities come to life after summer. The weather is ideal for relaxing - the air temperature is around +30 Celsius, the water warms up to +28. Perhaps, September is the best month for those who want to combine a relaxing beach holiday with visiting Sicilian sightseeing attractions. The temperature gradually drops to +25 Celsius, but the water is still very warm - + 24-26. Occasionally it rains, sometimes it's windy. Nights become more cold - +14-15 degrees. Olives and grapes harvesting season starts. 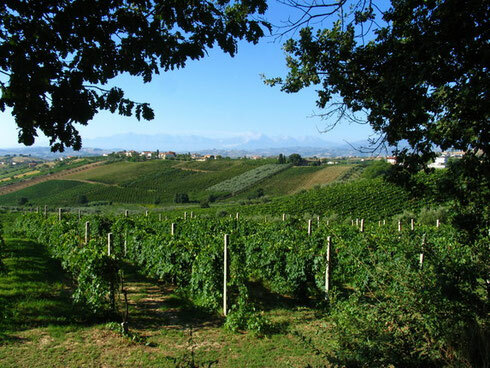 This is the perfect time to visit vineyards at the foot of Mount Etna, where you can taste and buy excellent Sicilian wines and olive oil. 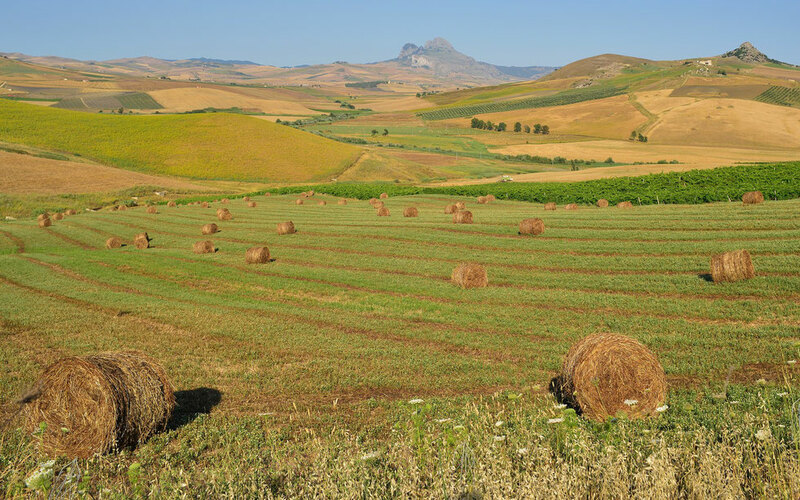 The rain season begins, and Sicilian valleys and mountains become dense green with grass and flowers. Daytime temperature is around +20-22 degrees. The water temperature gradually drops, but still it is possible to swim. 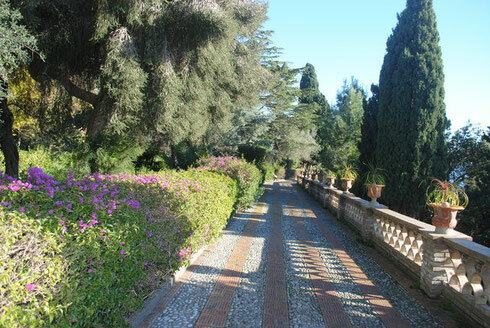 The weather is ideal for long walks in Sicilian towns, parks and numerous attractions. November 1 Sicilians celebrate the Catholic feast of All Saints Day. There are beautiful festive processions on the streets. Days become shorter, the air temperature drops to +16-18, although sometimes it raises up to + 20-22 Celsius. Sometimes it rains. Catholic Christmas is celebrated on December 25. 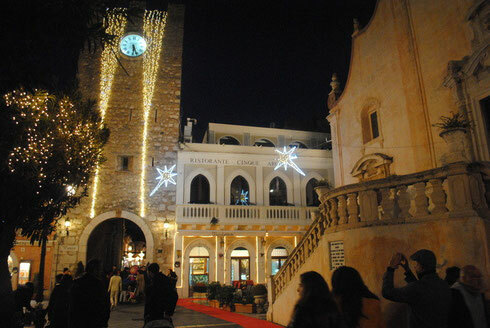 The streets of all Sicilian cities and towns are very beautifully decorated for the holiday. It's a great pleasure to walk through the cities and towns, visit the nature reserves, walk along the beaches at this time of year. Also in December, juicy Sicilian oranges and tangerines ripe, and you can buy them quite cheaply at almost every turn.